I never thought I would say it but I love camping! Having bought a traditional bell tent and styled it up accordingly with bunting and fairy lights, all that was left to achieve the perfect glamping weekend was a BBQ. But not just any old BBQ – oh no, this was going to be an outdoor culinary experience! Obviously, we had to consider that the children were looking forward to burgers and sausages, while the adults (ok, just me really) were happy to while away the time with a glass or two of something chilled while a feast bubbled away in front of us. The Dutch Oven really does come into its own here. Suspended over a campfire or fire pit, it plays host to what I personally think is perfect camping fodder – Chicken Basque. There are many versions of this comfort-inducing recipe and I’ve amended and tweaked the recipe here and there, but have a go and see what you think and give it a try next time you’re camping. 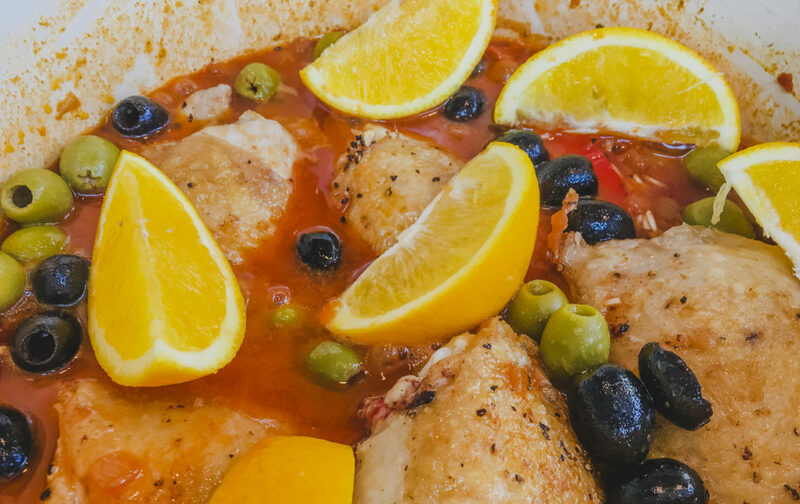 This dish incorporates protein (chicken), vegetables (onion, garlic, tomatoes, courgettes) and carbs (rice), all in a delicious sauce. Truly a one-pot wonder, so it’s absolutely ideal for camping when you don’t want to be faffing around too much with loads of pots and pans. Heat the butter and 3 tbsp olive oil in a flameproof casserole or large frying pan. Brown the chicken pieces on both sides, seasoning them with salt and pepper as you go. Don't crowd the pan - fry the chicken in small batches, removing the pieces to kitchen paper as they are done. Add a little more olive oil to the casserole and fry the onions over a medium heat for 10 minutes, stirring frequently, until softened but not browned. Add the rest of the oil, then the peppers and cook for another 5 minutes. Add the chorizo, tomatoes and garlic and cook for 2-3 minutes. Add the rice, stirring to ensure it is well coated in the oil. Stir in the tomato paste, paprika, bay leaves and chopped thyme. Pour in the stock and wine. When the liquid starts to bubble, turn the heat down to a gentle simmer. Press the rice down into the liquid if it isn't already submerged and place the chicken on top. 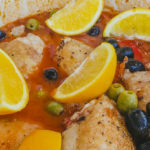 Add the lemon wedges and olives around the chicken. Cover and cook in the oven for 50 minutes. The rice should be cooked but still have some bite, and the chicken should have juices that run clear when pierced in the thickest part with a knife. If not, cook for another 5 minutes and check again. The other BBQ dish that went down extremely well with both adults and children were the lamb and mint burgers. If you’ve taken kids camping then this is a brilliant meal for them to help out with, as it’s a really straight-forward, bung-it-all-in type of recipe. If they’ve got clean hands they can have fun getting stuck in with shaping the burgers too. I used lamb shoulder, as this provides the right amount of fat to bind the mince together without the need for eggs, although a generous dollop of redcurrant jelly helped too and really adds to the flavour! I’d really recommend using the pre-chopped onions that you can get at most supermarkets – it’s a great shortcut for the camping cook! 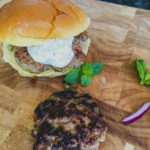 You can add cumin and ground coriander to this recipe for a spicier, more kofte-like burger. 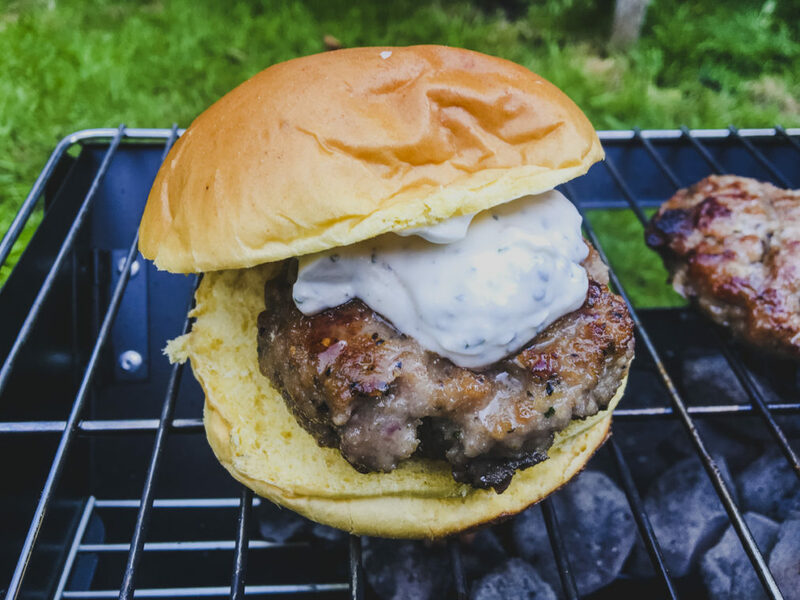 I served ours up with refreshing tzatziki and soft brioche buns – delicious! Mix all the ingredients in a bowl so that they are well combined. Using hands, take a handful of the mixture and shape into a burger – easy! Heat the oil and add the burgers, taking care with the hot fat, and don’t crowd the pan. Cook for 10-12 minutes, turning only once so they are golden brown.